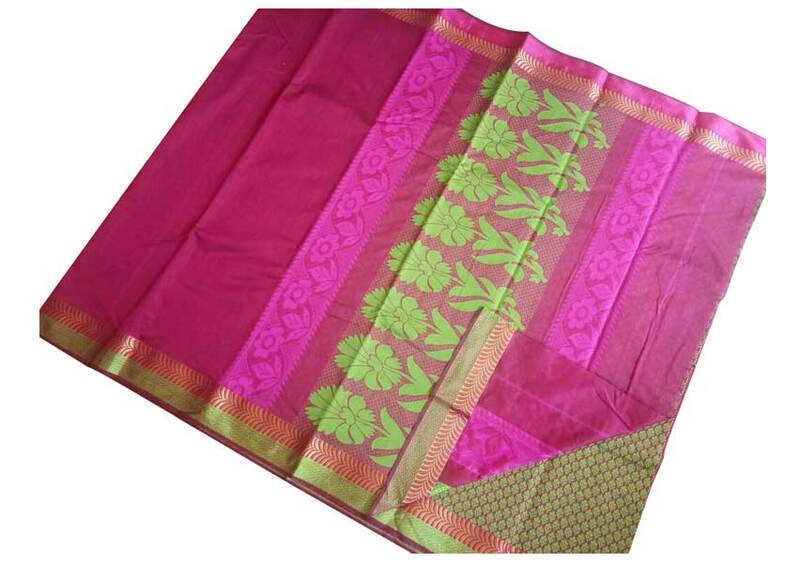 This elegant saree has perfect modern and ethnic blend.The body of the saree has elegant Pink colour with contrasting Green and Pink colored border. The pallu has matching Green and Light Pink colored Floral Printed work. The saree comes with suiting blouse piece.